Your wedding day might should be the most magical day of your life. It's the one day where you plan out every single moment from beginning to end. A day where you're able to see your vision brought to life while joining hands in marriage with your loved one. So, with that being the case, it only makes sense to have your perfect day captured and preserved on stunning 4k video. Our Los Angeles wedding videographers can make sure that you can remember the ceremony, the toasts, the first dance, and many other memorable moments in one unforgettable video. 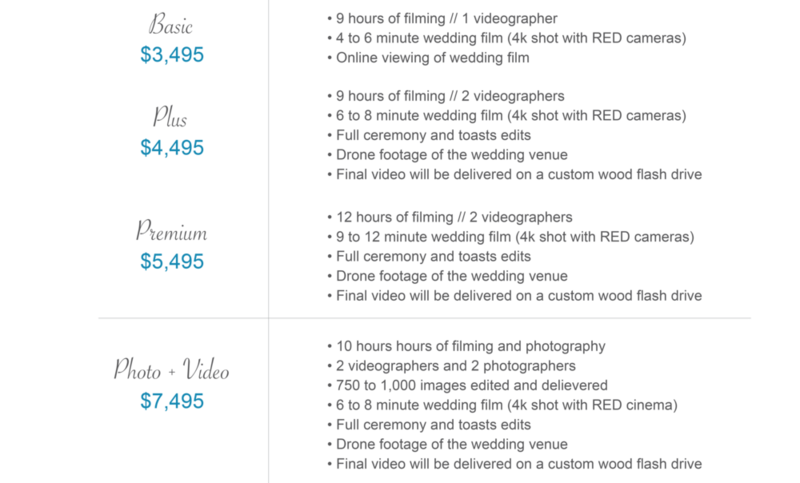 The right Los Angeles wedding videographer can make sure that your wedding video is as beautiful as your wedding itself. Our videographers know that each wedding is as unique as the couple celebrating it. They'll make sure that you and your new spouse both have what makes each of you special shining through in your video. Whether it's the best man telling everyone about the moment he knew this relationship was meant to be, the memory of your first dance as a married couple or the overwhelming emotions of reading your vows to each other, our videographers will capture every moment and make sure that your video is something you'll treasure for the rest of your lives together. Put our knowledge of Southern California to work for you. Our Los Angeles wedding videographers know popular locations for weddings and they also know what is needed to do to make the sound and the scenery come together in an incredible way. If there's a spot in L.A. where you're dreaming of having the perfect wedding video take place, our videographers can make it happen and ensure that it looks exactly the way you hoped for. If there's a spot you really love, there's a good chance our videographers have shot the location before and knows exactly what equipment and what angle he or she needs in order to get the perfect picture and sound quality that match your desires.